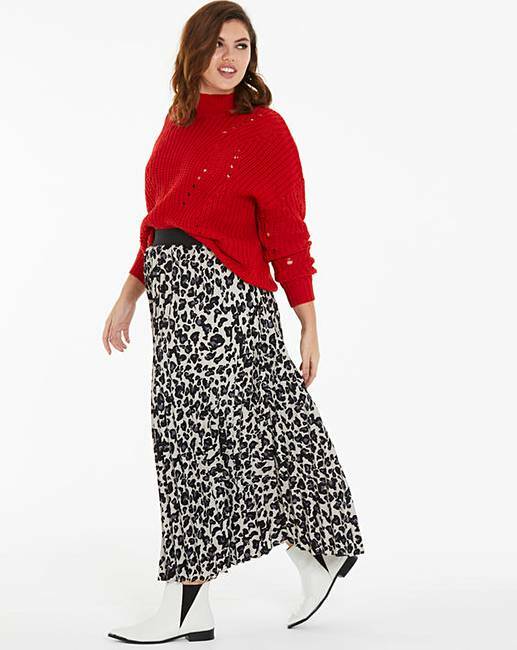 Leopard Print Pleat Maxi Skirt is rated 3.0 out of 5 by 7. Sunray pleated skirt in a fab 'on trend' leopard print design. Fully elasticated waist. Easy to wear pull on style. Rated 1 out of 5 by Jobjo from Very disappointed Poor quality although pattern was nice. Not at all value for money was so disappointed when I opened it. Rated 5 out of 5 by Karen from Skirt Perfect fit, great price, Very impressed with the quality. Rated 1 out of 5 by MrsN from Disappointed Flimsy fabric, so very disappointed, sent it back! Rated 1 out of 5 by Bunnyzilla from disappointing I have just purchased this skirt for a works lunch. The fabric is flimsy has no hang and is very skimpy. The pleats have no depth. The skirt is not A line as it seems in the image but a tube a very thin tube. Not worth the money. Very disappointed. It is going back.